I hand dyed this fine, pure merino wool thread a cool lavender purple color. This two-ply thread, that has a thickness similar to about three strands of DMC cotton embroidery floss, is wonderful for a variety of hand work uses including crewel, applique and embroidery. It is a two-ply thread with a thickness comparable to about 3 strands of DMC cotton embroidery floss. 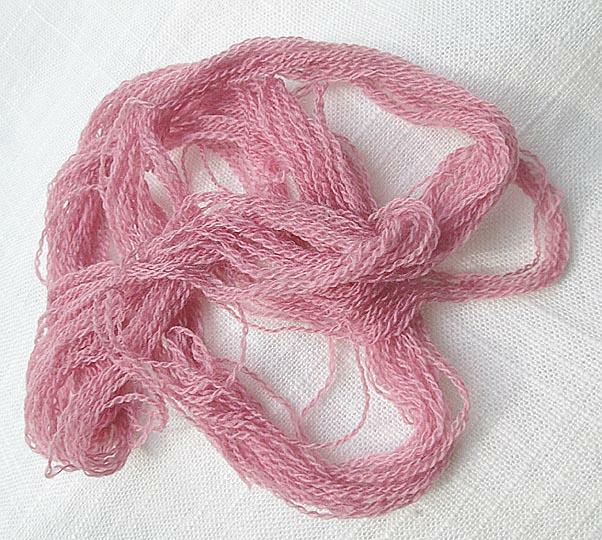 I also sell this merino wool thread in a bright white that you can dye yourself. This listing is for 20 continuous yards, and the yardage you receive won't have any knots in it. 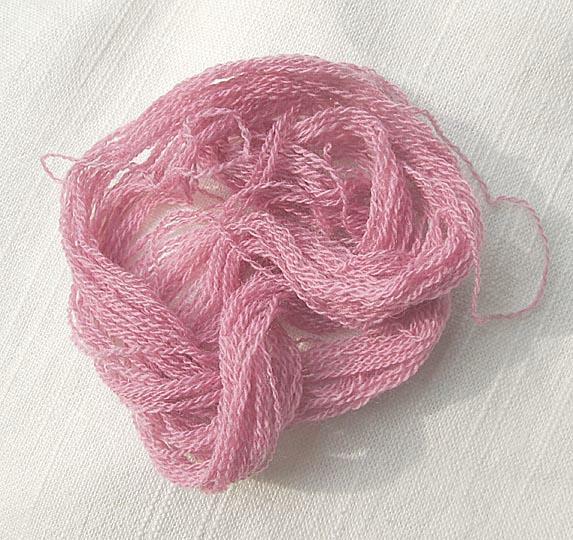 I photographed the wool thread in a variety of natural light conditions, all without flash. Your wool thread will be carefully packed, wrapped in plastic and shipped first class mail with tracking. I do combine shipping cost, so you can save money by purchasing additional items at the same time.